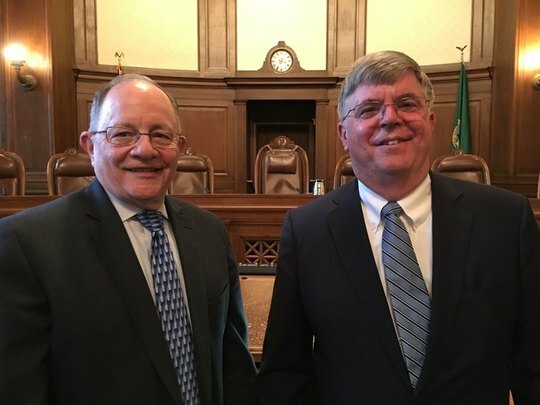 Sen. Padden with his attorney David DeWolf, Gonzaga University School of Law professor emeritus. The interim period between legislative sessions is usually a quiet time, but that has not been the case this year. 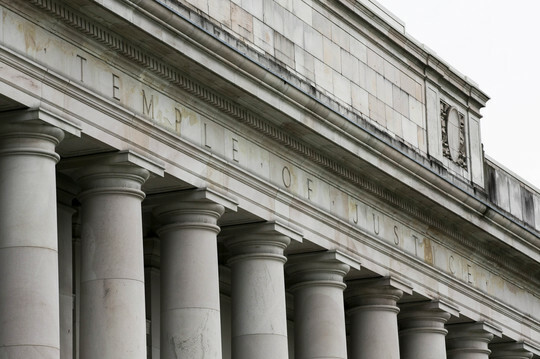 It’s been a summer busy with court actions due to legislative decisions that stretched, or even broke, the limits and obligations set forth in Washington’s constitution. Shortly after I sent my previous update, we got word that the state Supreme Court had issued a favorable ruling in our case against the Legislature over its unconstitutional response to I-940. The ruling sends the police-deadly-force initiative to the November ballot, protects the initiative process, and establishes the supremacy of the state constitution over the whims of some legislators who find it inconvenient. 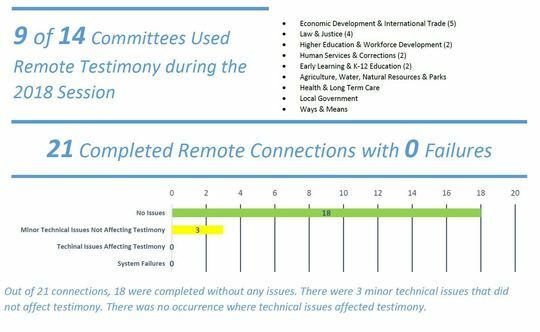 We also recently received a report from the Senate on remote testimony. As you know, this issue directly affects us in eastern Washington. We must keep pushing to make this important tool available across our state. You can read more about these, and other important topics, in this Report from Olympia. Last, but not least, today is the 17th anniversary of the September 11th terrorist attacks on our country. The phrase we all said at the time was "never forget!" Unfortunately, far too many of us have forgotten the spirit of unity and purpose we had in the early days after the attack. Today, and as we approach session in January, let us each remember that spirit of unity. Let's work together to solve the problems we face as a state. And, yes, let's never forget. It continues to be a great honor to represent you in the Washington State Senate. Click here to watch the presentation before the Spokane Valley City Council. 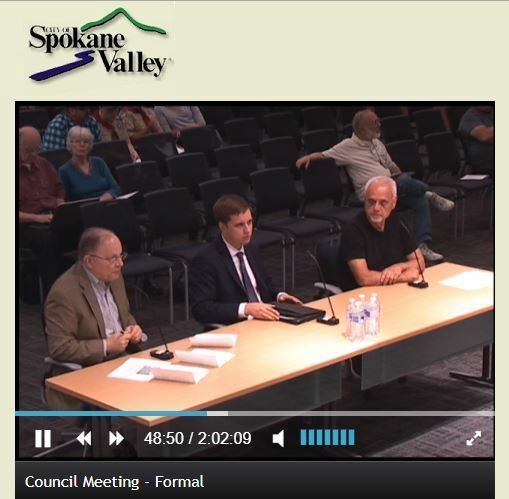 Late last month, I had the opportunity to address the Spokane Valley City Council on the issue of condominium construction regulations that have almost fully eliminated the building of affordable condominiums in our state. Arthur Whitten of the Spokane Home Builders Association and Jim Frank with Greenstone Homes joined me in updating the council on changes that were made to the Condominium Act in 2009, which were aimed at providing consumer protection but ended up creating an insurmountable barrier to new condominium construction. At a time when many communities are facing a shortage of affordable housing, policies that get in the way of increasing the housing supply make absolutely no sense. The law needs to be changed in the 2019 legislative session, and I hope to work in a bipartisan manner to accomplish this goal. You can watch our full presentation by clicking here or on the image above. The state Supreme Court ruled late last month that the police-deadly-force initiative should go to the voters on the November ballot. Putting my personal views on Initiative 940 aside, the ruling was a decisive victory for those of us who want to protect the initiative process. It establishes clearly the supremacy of the state constitution over the whims of some legislators who find it inconvenient, and try to work around the people. I was one of the plaintiffs in Eyman vs. Wyman, the case that challenged the Legislature’s decision this year to amend I-940 without asking voters for approval. 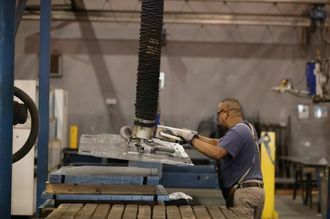 The court’s ruling means voters will be asked to approve or reject the original proposal, without the changes adopted by this year’s Legislature. When I-940 came before the Senate, our caucus unanimously warned the majority party that its tactic was an end-run around the constitution, because the rules concerning ballot measures are clear. The high court has reaffirmed the people’s ability to pass legislation by initiative, independent of the Legislature. Hopefully my colleagues who supported the unconstitutional move will learn that you can’t block a public vote on changes to the people’s initiative and expect to get away with it. Click here to read my full comments on the ruling. On Friday, Sept. 14, the first ever Spokane Valley Connect will take place at Opportunity Presbyterian Church on 202 N. Pines Rd. 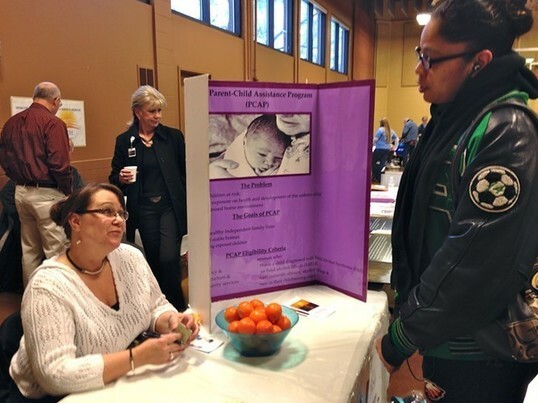 At Spokane Valley Connect, people can find housing resources, get free youth sports physicals, sign up for dental and health check-ups, or find mental health services. A full list of the more than 40 on-site providers can be found here. …The event will have more of a "family feel," says Aileen Luppert , the chair of the event's organizing committee, recognizing that homelessness in Spokane Valley may look a little different than it does in downtown Spokane. There will be educational services there, along with school supplies for families that can't afford them. Luppert says the event is something that's been in the works for years, ever since the Spokane Homeless Connect — which usually takes place in January — launched seven years ago. Wage growth has been a missing ingredient in the expansion… but has been creeping higher, with the August reading marking a new high. I am pleased to see that remote testimony is continuing to progress in the Senate, and that technical issues present in the early days of the pilot program are being eliminated. 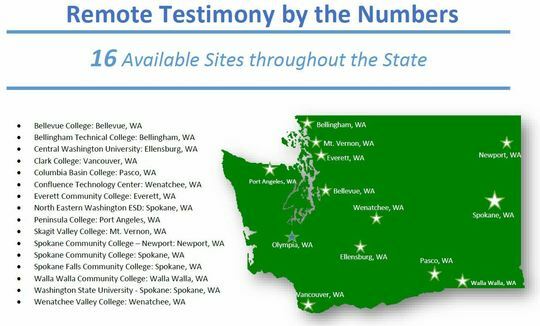 Remote testimony is so important because it allows those unable to travel because of time, resources or physical ability to still have their voices heard in Olympia on issues important to them. The 2019 session starts in January, a time when driving across the mountain passes can be impossible or life-threatening due to weather. Technology advances allow remote testimony to serve as a fairly simple, common-sense solution to this problem. There is no excuse for it not to be widely available in Washington, one of the most wired and technologically advanced states in the country. As a lawmaker who represents a district far away from Olympia, I appreciate having an opportunity to hear directly from you – the men and women I represent.